It’s never too early to start protecting your kids hearing (and instill in them the good habit of wearing ear protection). Here are our top picks for kids of all ages. We’ve already covered the best earplugs for adults, but what about ear protection for kids? 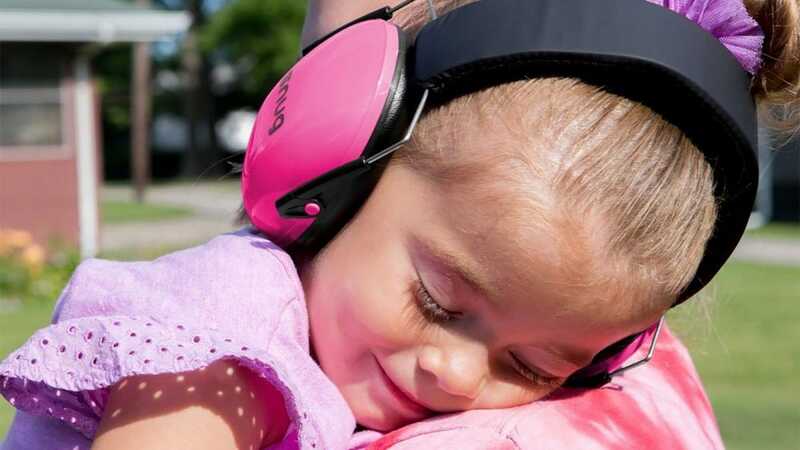 With so many types available (earmuffs, earplugs, and even moldable plugs), it can be hard to find the right size, fit, and style for your child. We’ve rounded up some great options for babies, toddlers, and small children (our picks even work well for adults with small ear canals or smaller heads). Whether you’re concerned about size and comfort, or you know your child won’t want anything inside his or her ears, we’ve got you covered. Adult earmuffs may be too big, the tension in the band may be too tight, or earbuds for airplanes may be too big for a child’s narrow ear canal—that’s why we’ve looked at all the best options to fit your child’s needs and ears, all sized for their smaller ears. 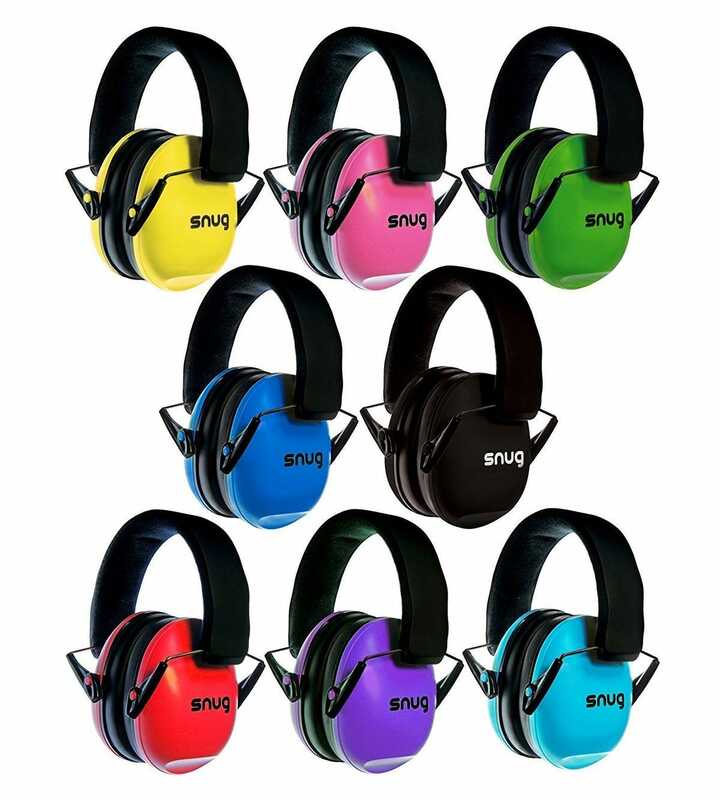 Snug Kids Earmuffs are a safe bet because they’re comfortable and don’t require insertion in the ear canal (something many kids aren’t very big fans of). The Snug Kids Earmuffs block out noise from concerts, sporting events, airports—you name it. They even block out the sound of large crowds, which can help kids who are easily over stimulated (like children with autism) navigate loud or anxiety-provoking situations more easily. The Snug Kids Earmuffs stay comfortably and securely on your child’s head with applying too much tension. They’s suitable for children around 6 months in age and older, and the highly adjustable band means they’ll get years of use out of the earmuffs. The lightweight design doesn’t hinder the child’s ability to move around, and the padded ear cushions are not only snug, but they effectively block out the sound. Kids also love these earmuffs because they come in a variety of fun colors and avoid the discomfort that sometimes comes with in-ear solutions; parents love them because they reduce noise by 25 dB and they safely protect children’s ears. If your child doesn’t mind having something in their ears, then check out these Etymotic High Fidelity Earplugs. It’s difficult to find earplugs for small ear canals, but these small “standard” size earplugs fit children and adults with petite ear canals. Each reusable pair comes with a detachable neck cord (great for keeping track of the plugs when little fingers fiddle with them) and a small key chain carrying case so you can keep them close at hand. The Etymotic High Fidelity Earplugs are great for theaters, parades, airshows, motorsport events, and concerts since they reduce sound by 20 dB. The sound that the child will hear is the same except at a lower volume—these earplugs just replicate the natural ear response so the noise isn’t muffled, only lowered. EarPlanes were our top pick for planes in our roundup of adult hearing protection,so it’s no surprise that their kid-sized version is our top pick for planes on this list, too. EarPlanes will relieve ear pressure discomfort caused by ascending and descending airplanes with its two components: a silicone earplug and a ceramic pressure regulator. 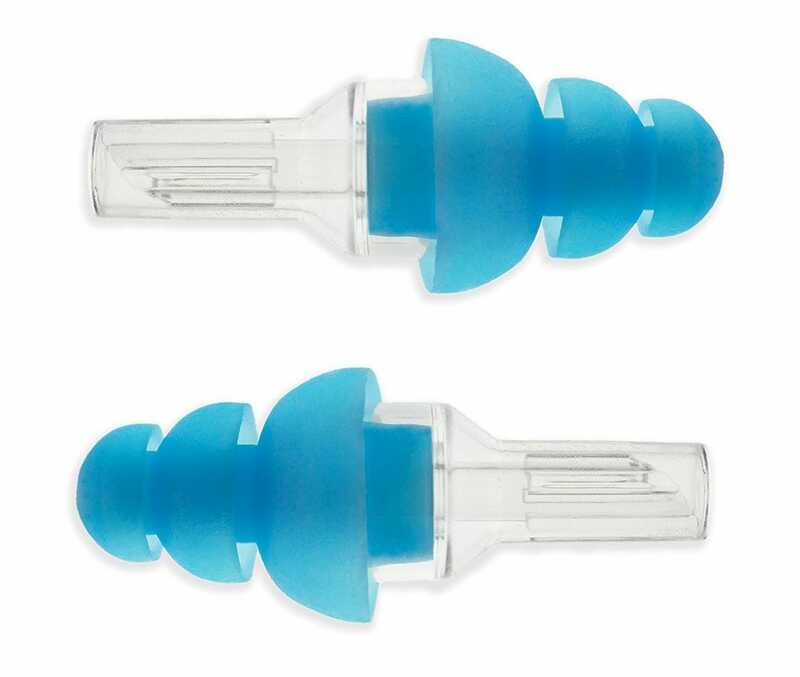 The silicone earplug creates a seal inside the ear, while the ceramic pressure regulator acts as a porous filter that stops discomfort as the air pressure changes. Having this sort of relief on a plan for a child can greatly alleviate a lot of the stress and fear that might be associated with flying. EarPlanes are also good for kids with sensitive ears or kids who have colds. And if you want to protect little ears from high frequency noises, such as the plane’s engine, EarPlanes reduce noise by 20 dB. If your child can never find the right earplugs to fit his or her ear canals, then look no further. Mack’s Pillow Soft Earplugs are convenient because they’re not only multipurpose, but they mold to the shape of your child’s ear so you don’t have to worry about finding the correct size. Multipurpose is an understatement—they can protect ears after surgery, and even provide protection at loud events by reducing noise by 22 dB. This particular pack contains 6 pairs for children ages six and under. 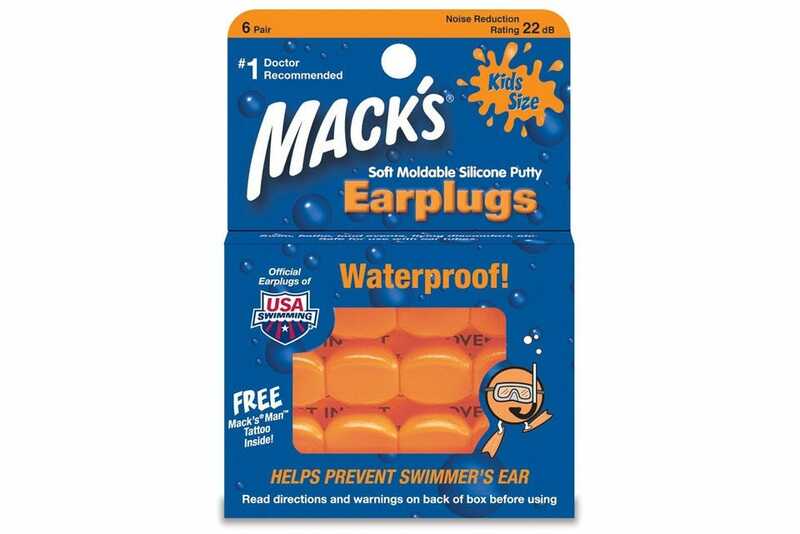 We mentioned a lot of the uses for Mack’s Earplugs, but it’s important to note that they’re also waterproof, sealing out water and preventing ear infections from trapped water. 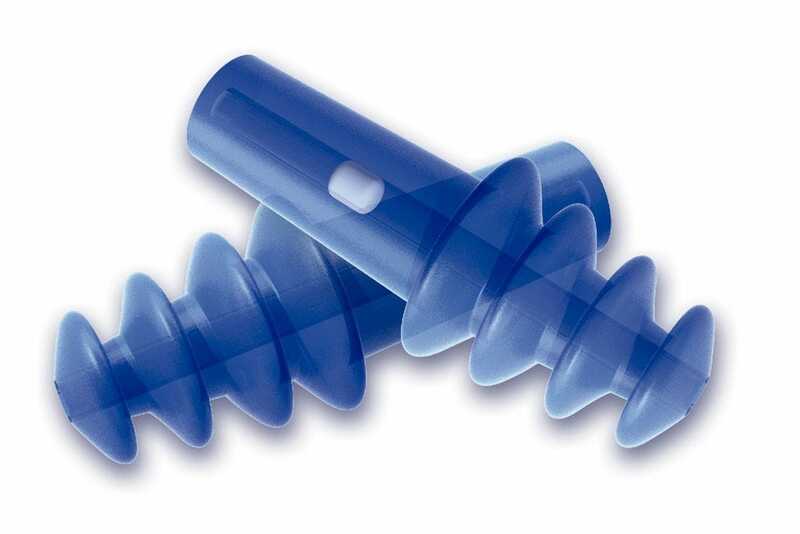 Your child can use these earplugs in the bath, pool, or ocean and you don’t have to worry about swimmer’s ear. But if you want earplugs made specifically for swimming, checkout Putty Buddies; they stay in place, fit both adults and kids, are great for kids with ear tubes, and they even come in a variety of bright colors! A great pair of headphones or earphones make a perfect Christmas present for your loved one. We’ve rounded up the best headphones, earbuds, and earphones for every situation.